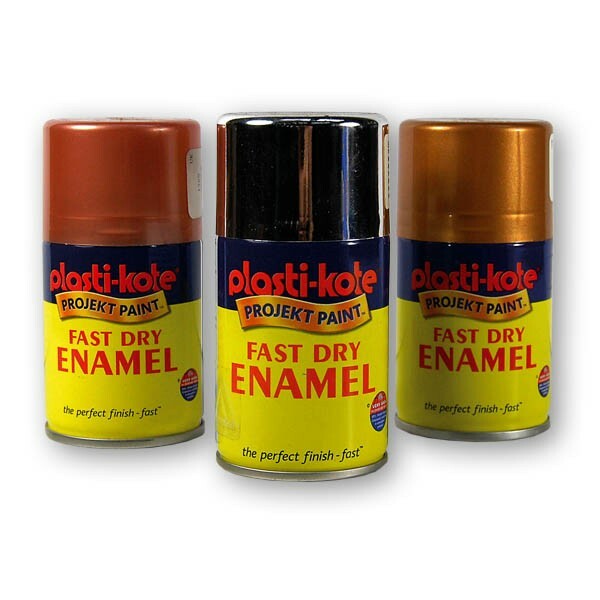 Plasti-Kote Fast Dry Enamel’s superior quality paints come in handy bottles or sprays and are ideal for small project or craft uses. Fast Dry Enamels are non-fading, longer lasting paints which are safe to use on children’s toys and furniture. Available in 31 superb colours, easy to use and with minimal wastage -you’ll find that Fast Dry Enamels give you a perfect finish with minimum fuss and bother. All you need to do is prepare and clean the surface and then simply brush or spray on.